Springville, CA, August 2, 2011 – TEDCF Publishing, a leading Autodesk Authorized Publisher and member of the Autodesk Developer Network, today released the Autodesk Inventor 2012 Certified: Assemblies & Advanced Concepts training course. Free, Automatic Updates – no need for a subscription to receive additions to courses already purchased. Consolidated Course Program – one desktop icon shared by all six Inventor 2012 courses. Consolidated Memory Jogger Search Engine – search for lessons in the same release without having to open the corresponding courses. Another enhancement is the availability of a free Certificate of Completion. The certificate is offered for those who need proof of training to fulfill state or work requirements. A new certificate will be available for all six TEDCF Publishing Inventor 2012 courses totaling over 40 hours of efficient training. 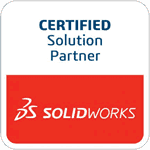 Learn more about the Autodesk Inventor 2012 Certified: Solid Modeling course.